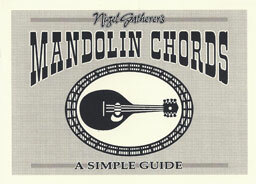 This handy pocket-sized guide will be very useful to any mandolin player. 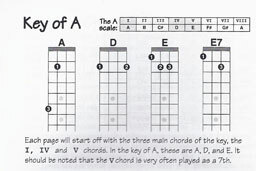 Small enough to fit into any mandolin case, it starts with a description of how chords are constructed, and chord families. Then the chords are grouped in families according to keys; it's done like this so that if you're playing a tune in the key of G, for example, you go to the G page which shows you the main chords and then the subsidiary chords which will be used in that tune or song.